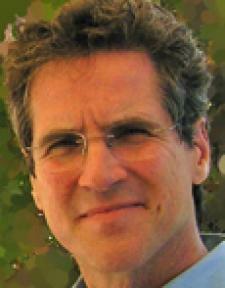 Jeff Jay is a professional interventionist and author. A graduate from the University of Minnesota, Jeff is a certified addictions professional. Debra Jay is a nationally known speaker and intervention training consultant. Jeff and Debra Jay are the co-authors of Love First: A Family's Guide to Intervention, (2nd Ed., Hazelden, 2008). Together, they operate Love First Intervention and Recovery Services. Recently, Jeff and Debra took time out of their busy schedule to answer LoveToKnow's questions about interventions. Staging an intervention is a way of persuading an addict to enter treatment. Family members, with or without the presence of a professional interventionist, gather to tell the addict that they are no longer willing to watch him or her abuse drugs or alcohol. This is not the time to sympathize or vent anger at the addict. Without becoming angry or making threats, every person involved in the intervention must present a united front. The goal is to let the addict know that the family is aware of the addiction and that the addict needs to seek treatment. Family and friends will no longer ignore the situation or support the addict unless he or she agrees to get help. LTK: Your approach to intervention for people with addictions focuses on love first, as opposed to a "tough love" approach. Why is putting the focus on love a more effective way to deal with the issue of addiction? Jeff and Debra Jay: There is nothing more powerful than love, but it's not just about love. It's love with a plan, presented by a group of people who are influential with the addict. Preparation is critical. We want to bring together all the most important people in the addict's life, and train and rehearse them very carefully. Most families already know that confrontation doesn't work. However, with a well-prepared group we can use the power of love and concern in the family to break through the addict's natural defenses and denial and bring that person to a moment of clarity. At that moment, they will see what everyone else sees so clearly, and they will accept help. Good preparation also means that treatment will be immediately available. LTK: At what point should a family consider an intervention? Jeff and Debra Jay: Families should consider intervention when they see that their loved one is experiencing repeated negative consequences as a result of their addiction, yet continuing the behavior in spite of the consequences. It's important to note that the negative consequences may be in any area of the addict's life. For example, most addicts are quite functional. They may go to work every day, but their home life is a disaster. If consequences and the clearly expressed concern of family members doesn't get them to change or seek help, an intervention is probably the next logical step. LTK: How much of an issue is family denial when it comes to getting an addict into a treatment facility? Jeff and Debra Jay: Huge. Typically, there are one or perhaps two family members who are steadfast in their denial. We often see this in parents who are supporting an adult child who is also an addict. They may feel that an intervention is somehow an admission of defeat as parents. In practice, the act of preparing for an intervention, which requires a good deal of education and planning, will often serve as the intervention for the family member in denial. If the larger family group just starts the planning process, without asking the reluctant family member to commit to an intervention, they will come out of their denial as the process moves along. LTK: Is it ever too late in the addiction process to conduct an intervention? Jeff and Debra Jay: No. However, the longer a family waits, the more difficult it can be for an alcoholic or addict to rebuild his life in recovery. Some negative consequences cannot be undone: divorce, legal trouble, serious health issues, financial ruin. A recent case illustrates this perfectly. A young man needed intervention, but the family waited to see if he might get better on his own. In the meantime, he smoked a good deal of marijuana laced with unknown substances, and suffered brain issues as a result. When we finally did the intervention, he required psychiatric hospitalization rather than a normal chemical dependency treatment center. LTK: How effective is your "love first" strategy for getting addicts to seek treatment? They don't believe the bottom line consequences are real. They are testing the group to see if they mean business. When they find out the potential consequences are in fact coming into play, they go to treatment. It's a control trip. They know they're going to go, but they won't go today. They'll go in a few days, and they might just change the treatment center, too. In this case, they are showing who's boss and trying to exert control over the process. In the end, almost everyone goes. LTK: What advice do you have for people who are concerned about a loved one's addiction? Jeff and Debra Jay: Learn more. We wrote Love First to teach people everything they need to know to understand addiction and take constructive action. Typically, there is one member of the family who will be the leader. This is the person who actually reads the book or the website, picks up the phone and asks for help. We talk to people all over the country every day who have questions. We're always glad to help.